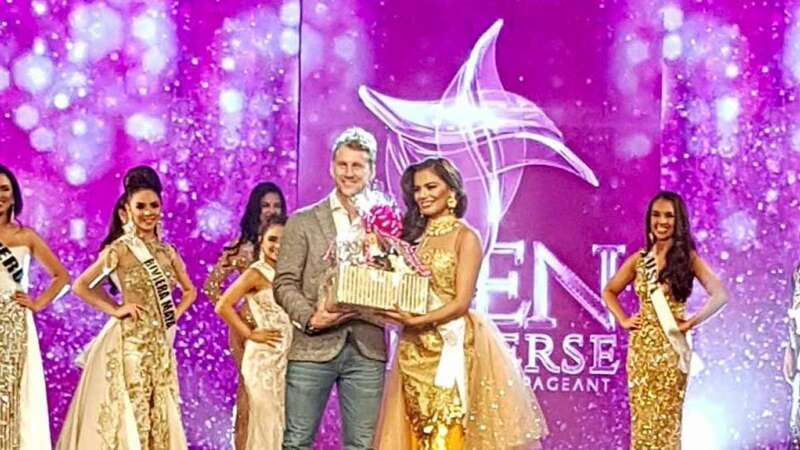 Panama : Mumbai girl Apurva Thakur emerged as the third runner up and bagged the title of Miss Best Hair at this year’s Miss Teen Universe 2019 in Panama. The teen pageant began on March 24 and the finale of Miss Teen Universe was on March 30. "I might have failed to finish the podium but I am not disheartened, representing my country was no less an honour for me. That one week in Panama would always be one of the memorable days of my life and I am always going to cherish them. I've learnt a great deal from the participants there and got a chance to know closely about their culture. I was bestowed upon the title of Miss Best Hair, so it wasn't too disappointing for me. The experiences I had there will help me become a better person in life and encourage me to do well in whatever challenges I face in the future,” said Apurva. The Miss India Teen Universe event was organised by Ms Jasmeet Kaur at Noida's Film City. Jasmeet Kaur, National Director of Miss Teen India Organisation, is the brain behind Miss Teen Universe India. "Apurva is a very talented young girl and I am very proud of her. She missed the title by just a whisker but the way she carried herself through in the contest is great. I hope young girls would learn from her experience and do well next year. I would also like to appreciate our team of experts for their hard work helped Apurva finish amongst the top four,” said Jasmeet Kaur. The winner of this year’s Pageant was Brazil’s Miss Eduarda Zanella The first runner up was Ingrid Moutho n from Colombia, followed by Miss Mexico, Melissa Quintero, as the second runner up.